“Aha!” moments are nuggets of gold that keep on giving, and in the health care field, these moments can open doors to better ways of life. 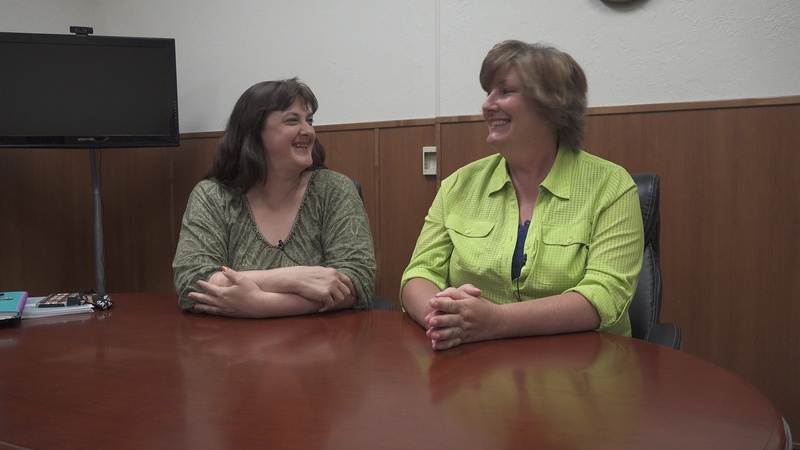 Occupational therapists Joanne Trammel and Lisa Baxter Hong are well-familiar with those moments. Their combined experiences are what spurred their decision to create classes geared towards helping others experience more joyful moments in their lives. The classes they will teach this fall include discussions on how to care for patients with dementia and Alzheimer’s, illustrating what people living with these diseases are still capable of, and showing us how to cultivate meaningful experiences along the way. Trammel, who is also the program coordinator and instructor for the occupational therapy assistant program at Idaho State University, experienced such a moment while she was a caregiver of a woman with dementia. The woman wouldn’t watch the TV before her, but would instead just stare at the screen. It was when Trammel noticed the bookshelves filled with cookbooks that she got an idea. “I asked her if she liked to cook, and she said ‘I love to cook!’,” Trammel said. Trammel then yanked down a cookbook and together, they baked flan. The fact that the woman could still participate and be part of the enjoyed activity was an “Aha!” moment for Trammel. “I thought, I want to be part of this,” she said. Hong, who teaches in the Master of occupational therapy program at ISU and owns Generations Occupational Therapy had a similar situation when she took care of a woman who had been an artist. The woman could no longer use paints, but Hong brought a Buddha board where she could still ‘paint’. Both Trammel and Hong recognized that caregivers should understand how to take care of patients who have dementia, and that some training programs teach you information but don’t show you how to use it. From this realization stemmed the class. “We thought, ‘what if we came up with our own program that would decrease that burden on facilities?’” Trammel said. They both hope that the class will change the lives of not just those individuals living with dementia, but also the lives of caregivers. This upcoming fall, there will be four classes offered, with the first one starting in September. Be o the lookout for more updates regarding these classes. 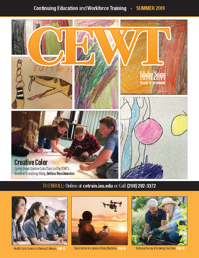 Idaho State University’s Continuing Education and Workforce Training (CEWT) is interested in supporting caregivers of mental health with opportunities to get their story out there. For more information, visit cetrain.isu.edu or call 208-282-3372.